While obviously the featurette's title is a play on the popular Disney Theme Park attraction “Mr. Toad's Wild Ride,” which was inspired by the studio's acclaimed 2D animated short adapted from Kenneth Grahame's beloved book, The Wind in the Willows , the decision to highlight Zemeckis' breathtaking CGI approach used to fly Scrooge through the streets of 1836 London was a wise one indeed. So awe-inspiring that they'd undoubtedly work well as a “Toad” like ride, the admittedly anachronistic Superman style sequences truly thrilled this reviewer who far too often found herself nearly nodding off during this otherwise sluggish, grim and emotionally distant film. Moreover, the amount of painstaking attention to detail, care and sense of whimsy infused in the flying Scrooge sequences also made it perfectly clear that just as we witnessed in Forrest Gump and Back to the Future , Robert Zemeckis is at his best and when he's free to dazzle us with technical wizardry but at his worst when he lets his love of movie magic and effects overpower the sensitive human elements and character arc of the story. And technically speaking, the stellar clarity of this razor sharp Blu-ray is especially dazzling, perhaps because it was originally released as a digital movie in theatres last year so that there's absolutely no loss in the translation. However, the true surprise in this Blu-ray combo pack is in the amount of wallop packed in one dynamic high definition surround sound mix that pours from all speakers. In the end, though, I just wish that the film itself lived up to the outrageously impressive presentation on Disney disc. When looking over the notes I took while watching Christmas Carol , I was shocked by the amount of times I wrote “the camera won't stop moving” in addition to describing the seasickness feeling of taking in the action as though we were on a roller-coaster. And ultimately, this visual perspective is a major part of the movie's problem, particularly when you understand that this was done with computers and every frame was within Zemeckis' control so there was plenty of time to ensure he had the best angles. 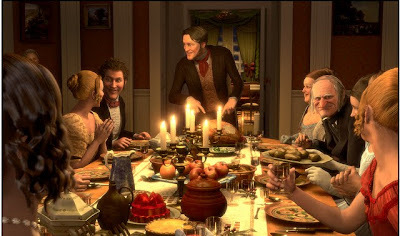 Although it was seamless in James Cameron's Avatar , I haven't quite warmed up to Zemeckis' Polar Express style odd, hard-edged animation that seems to give the CGI a near claymation effect due to his interest in “performance capture” to duplicate the expressions of the actors in a given scene. Consistently and to the immense frustration of fans of the actors involved including Jim Carrey, Robin Wright Penn, Colin Firth and Gary Oldman, Zemeckis steals focus from the players anyway by constantly reminding us of the camera as it wanders away during key speeches. And despite the fact that it's animated, since Zemeckis is fixating on human characters, it should've worked to his advantage to immediately endear the individuals to the audience since theoretically we should've been able to identify with them. But amazingly, we feel less connected to the people in Carol than we did to the inanimate objects who stole our hearts in Pixar's Toy Story trilogy. 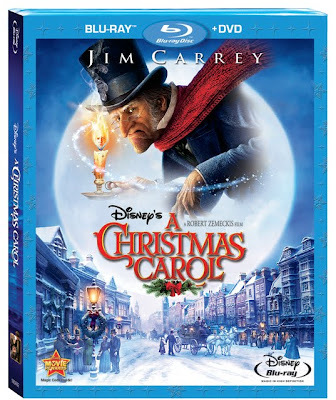 In one of the least effective adaptations of Dickens' heartwarming tale ever captured on screen, over the course of the night before Christmas, Scrooge (Jim Carrey) is led on what would otherwise have been an important coming-of-emotional-age poignant journey by the genuinely creepy ghosts of Christmases Past, Present and Future that set out to teach the miserable man the true meaning of the holiday season by visiting loved ones and friends. 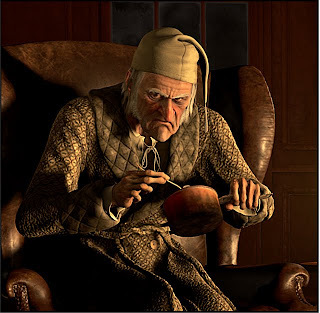 Yet whether Scrooge is revisiting the end of his romantic engagement or learning more about the gravely ill yet sweet-natured son of his employee Bob Cratchit during moments that drove viewers to tears in productions of the past, writer/director Zemeckis does his adaptation a great disservice with his cinematic technique. Having sped through the otherwise pivotal events with perfunctory dialogue and swirled the camera so much that we're barely aware of what's transpired, by the time that Scrooge decides to become less of a Grinch and more of a cheery Elf, the evolution of his personality from epitome of evil to darn near saintly doesn't feel legitimate or earned. In other words, movies that try to move us emotionally by force are never as memorable as the ones in which we're moved all on our own, without the director pushing and pulling us to get from Plot Point A to B. Having said that, I do applaud Zemeckis' intent and admire his dedication to incorporating Dickens' text where he could, along with of course, livening up the action here and there in the flying Scrooge segments which make me think designing a companion ride might be in his future. Nonetheless a script rewrite would've been a good start to rectifying some of the problems with the picture, but without reevaluating the entire cinematic approach, even if Dickens himself had written the film, it would've gone to waste. Whether it would've been fixed by going with live action or adjusting the CGI as well as of course, the framing of shots, overall the work as it remains is overpowered by the obsession with showy spectacle over substance, which tragically goes against the true meaning of the story as well as the holiday season in the first place.